Susan and Miles were married this summer at St. Paul's Episcopal Church with an incredible reception after atThe Inn at Carnall Hall. 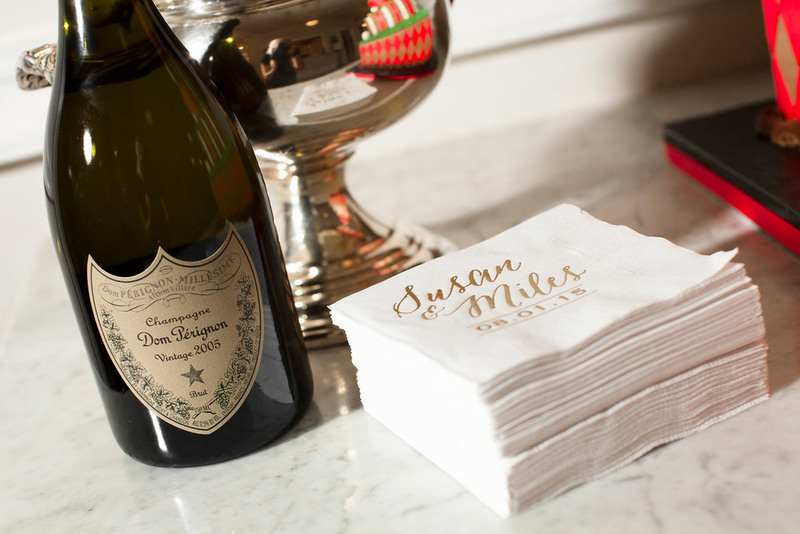 Susan really wanted a chic and romantic wedding and enlisted the help of wedding planner Jessica Kersey to make it happen. What they came up with was completely stunning! Everything, from Susan's all lace Romana Keveza wedding gown to their five-tier wedding cake with cascading flowers was classy and romantic. 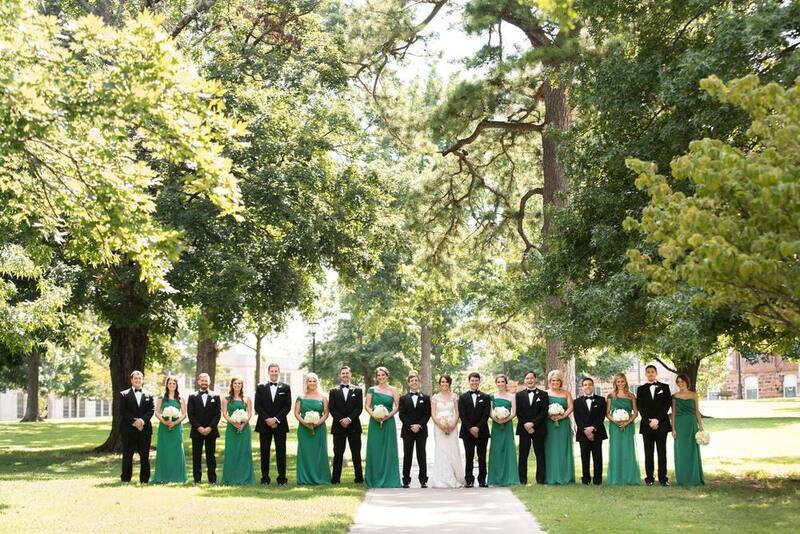 Susan chose emerald green and gold as her main wedding colors with pops of coral and peach to tie everything together. All of the bright floral arrangements were composed by Jana Mayfield Flowers based off of ideas Susan found on Pinterest. They were a mixture of white hydrangeas and an array of pink and peach roses and were placed in a variety of vases, some towering above the tables! 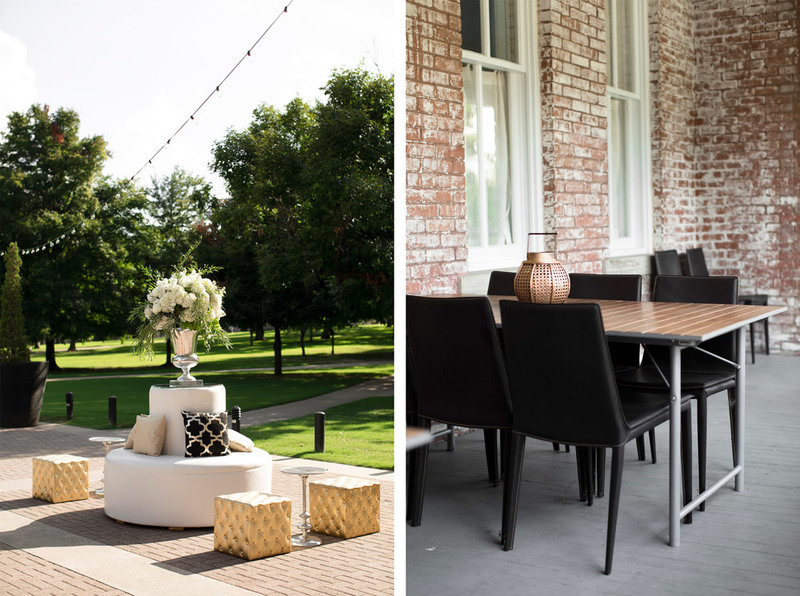 The wedding reception was held on the West Veranda and garden area at Carnall Hall. 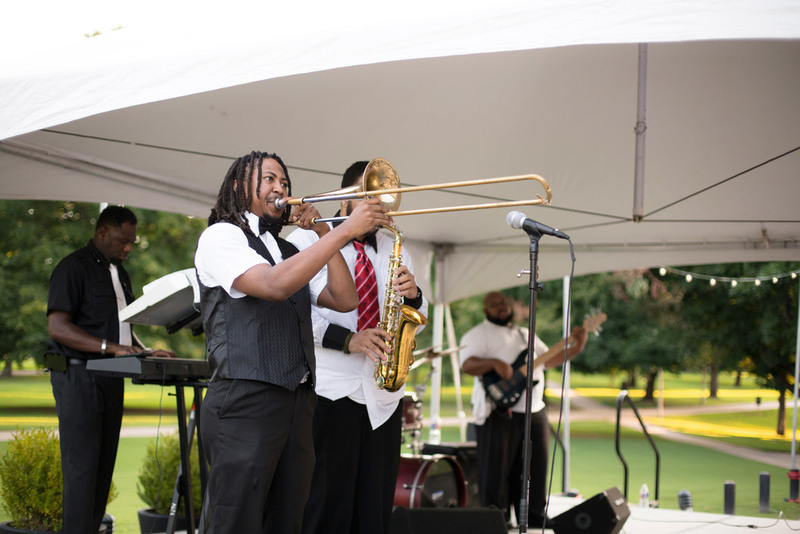 Susan and Miles decided on a black and white checkerboard dance floor and hired the band DMP from Memphis for a bit of southern fun! They also rented white round sofas with gold seating cushions and sequined pillows from Eventures for the guests to relax on. 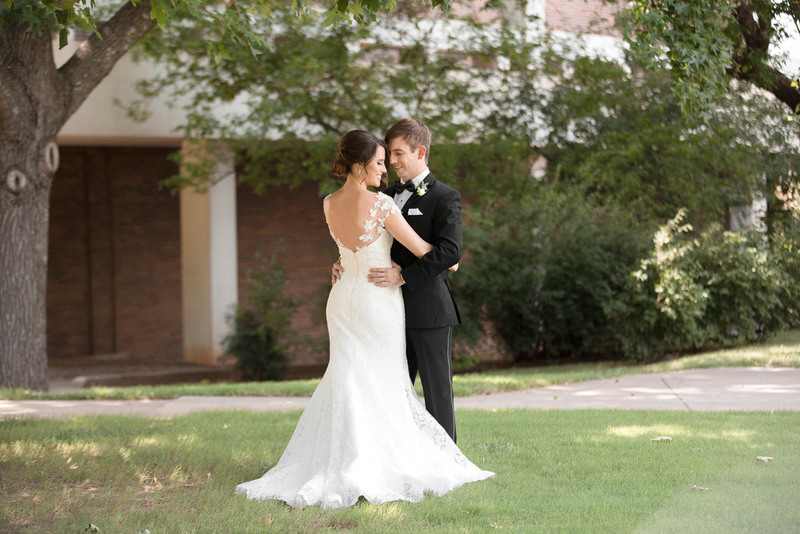 Susan and Miles' wedding day was simply perfect! At the end, they had a sparkler and glow stick send off which was a perfect end to a great party. Congratulations Susan and Miles! Here's to a lifetime of love and laughter!